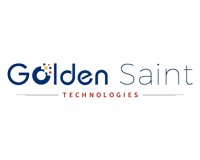 Golden Saint Technologies Limited (LON:GST) today announced the Company’s reviewed results for the six months ended 30 September 2018, first half of the financial year 2018-19 . The Company’s financial year runs from 1 April to 31 March. · The Company acquired EMS Wiring Systems Pte Ltd (“EMS”) for 605,280,863 consideration shares in the Company by way of a reverse takeover. · The Company has been appointed as a distribution, marketing, sales and services partner to P2 Mobile Technologies Limited (“P2 Wireless”). 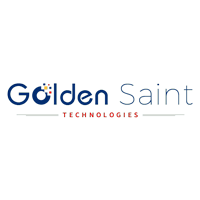 Writing my first chairman’s letter for the newly listed Golden Saint Technologies Interim Report has caused me to reflect with great pride on the progress made this year by the teams that I have led. The GST Board of Directors is an experienced group I am proud to work with. Pierre Fourie, GST’s Group MD, has deployed his strategic mind in helping me guide the development of the GST businesses towards ever-stronger, value creating, growth. Raphael Teo’s technical expertise has influenced all parts of the engineering and installation teams’ work. William Knight brings an invaluable source of reliable counsel to our Board. Malcolm Groat is a pillar of support for our company, bringing decades of high-level financial skill and experience to our senior team. It is a privilege to be Chairman of this multi-talented team. The highlights of 2018 have been continued profitable growth at EMS, the reverse takeover of EMS by Golden Saint Resources, the name change of the Company to Golden Saint Technologies to reflect the break with the past mining business and – instead – our creating value as an ICT business expanding in South East Asia and internationally, and culminating in the listing on the full board of the London Stock Exchange with the new company ticker – GST. Furthermore, since listing, GST is delivering on its promises to shareholders. CEO Garies Chong (BICSI Southeast Asia District Chair) and EMS’s Global Head of Operations, Lucas Kwa, have been networking in the South East Asia region, creating new contractual relationships with next generation technology suppliers. In the first week of December 2018, GST announced that we have been ‘appointed as distributor for P2 Wireless Smart Virtual Fiber® Wireless Mesh solutions’, allowing us to provide new solutions to high speed data transmission for internet, CCTV, final mile, etc., requirements. As we look into the future, we are enthusiastic about the potential we have to generate value, both for our customers and our shareholders. One of the benefits of having LSE listed company status is that the great set of skills and man-centuries of experience our engineering and installation teams have built up over years meeting complex customer needs in Singapore and surrounding areas are now more likely to be used on scaled-up operations not only in EMS’s well-trodden business territories, but also internationally. As we look forward over the next year, GST will start to look at deploying our skills and engineering and installation experience in new data centres in South East Asia, and elsewhere where there are promising opportunities, in which GST also invests for an equity stake. GST is also building its India business. Working with Satheesh Prabhu, Head of Sales for India, we are supplying a new TV-linked combo-box with streaming data and media functionality to customers in India. Looking ahead, we see a series of deals for this technology that better meets the needs of Indian middle-class urban consumers. GST’s ongoing business through its EMS subsidiary is discussed further in this report. Here, I would like to highlight that the Company has generated revenue of $2,332,000, up from $2,099,000 in FY2017. And for the six months to 30th September 2018, the Company had positive net cash from operating activities of $216,000. Looking into FY2019, we are forecasting sales of between US$3 million and US$3.5 million over the second half of our FY2019 ending 31 March 2019. Overall sales for the year are forecasted to be between US$5.5 million and US$6 million (FY2018:US$4.5 million). Profits for the second half of FY2019 are forecasted to be between US$250k and US$300k. The Board believes that the interests of all stakeholders are best served by retaining capital within the Company and maintaining greater flexibility to be able to take advantage of, looking forward, the many attractive investment and business development opportunities open to GST at this time and over the next few years. GST is looking to generate long term value for customers and shareholders in a sustainable manner. As a result, GST’s dividend policy for this financial year is not to pay dividends to shareholders but rather meet their interests by creating value that leads to capital growth. I would like to thank our shareholders for their continuing support as we build the GST business. And, of course, I would like to express my appreciation to the management team and staff for their hard work and committed expertise.